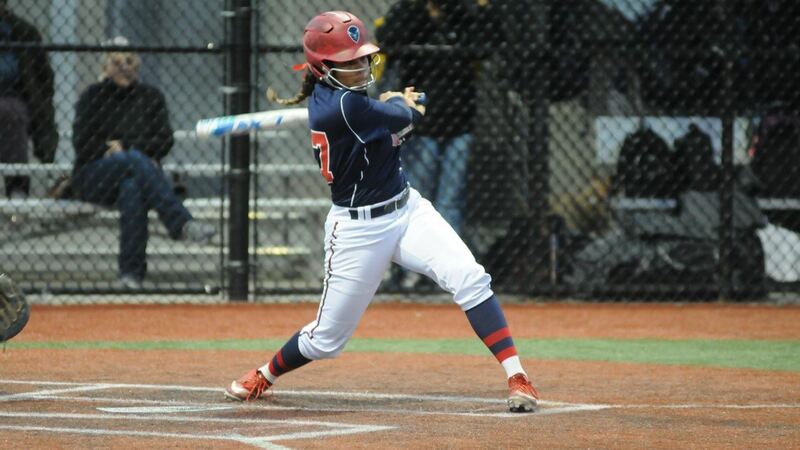 Howard University softball rallied past the Bowie State Bulldogs on Wednesday night with a 15-2 win at the Washington Nationals Youth Academy. The Bison improved to 10-18, officially giving the team its highest win total in three seasons. The Bison (10-18) took a commanding 7-0 lead over the Bulldogs (4-16) early in the game. Howard racked up seven runs on three hits in the bottom of the 1st. Camille Navarro’ssingle to right advanced Kalita Dennis to third base and brought Kamryn Tillman home. Breanna Robinson reached first on a fielder’s choice, allowing Navarro to land on third base and giving Dennis the run. A single to left field by Sienna Herrera brought Navarro home. With Shayna Swanson’s double to right center, Herrera, Robinson and Ayanna Sallee scored. A throwing error by the Bulldogs gave Rajaa Wilcox the boost she needed to reach first while Swanson scored. Going into the second inning, the Bison allowed no hits by the Bulldogs. In the bottom of the inning, Howard added two runs. Herrera singled to second base, bringing Dennis home. Herrera scored off of Sallee’s triple to right center. The Bison widened their lead in the third inning, solidifying their win with an additional five runs. Kaylen Samuel’ssuccessful bat gave the Bison a lot of action with Tillman going to third and Rajaa Wilcox scoring. Tillman, Dennis, Samuel and Navarro rounded out the inning across the plate. Bowie State got in on the action at the top of the fourth. The Bulldogs’ Amy Ferguson walked to first. Kristi Hawke hit a single to center which was followed up with a bunt by Shany Gordon that advanced Ferguson to third. The Bulldogs took advantage of the Bison’s wild pitches with Ferguson and Hawke scoring. The Bulldogs were on the board, 14-2. In the bottom of the fourth the Bison put up one more run. Dennis singled to third base with Maxie Harrington scoring on the throw. With Howard’s Brooke Thomas pitching the fifth inning, the Bulldogs had no hits and no runs. Due to the 8-run mercy rule, the game ended in the fifth inning, 15-2. Dennis, Navarro and Swanson led the Bison with three hits each in the win. Tracy Mosley faced 15 batters, striking out six. “Tracy’s performance again, I think she’s starting to peak. I can’t wait to see her for the rest of the season,” expressed Tyson. The Bison are ranked seventh in doubles per game and 94 in batting average in national rankings. Three Bison are ranked in the top 150 in batting average: Kalita Dennis (24), Xzarria Simmons (61), and Camille Navarro (84). Navarro is fifth in the nation in toughest to strike out and Simmons is number 23. Dennis also ranks 81 in slugging percentage. Both Simmons and Dennis rank in the top 150 in on-base percentage, 84 and 105, respectively. Next week the Bison will travel to Towson University for a doubleheader beginning at 1 p.m.